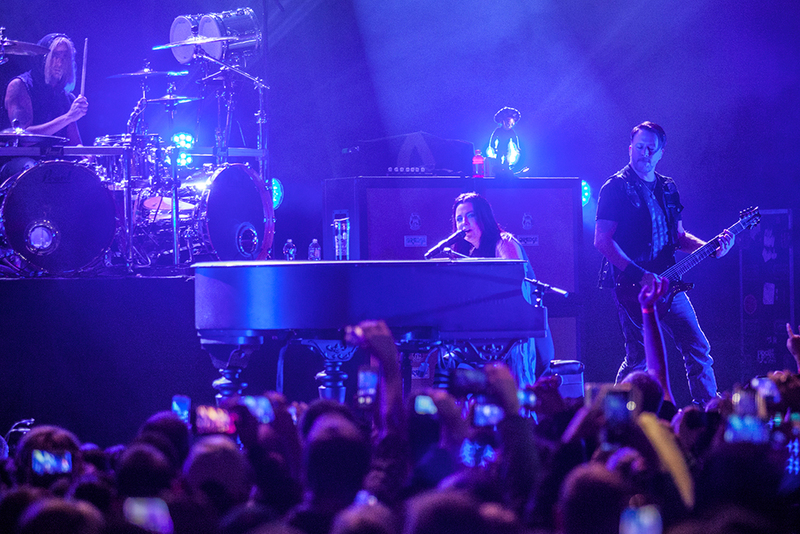 Evanescence performed the week of Thanksgiving in Montclair, NJ, at the historic Wellmont Theatre (built in 1922), celebrating 21 years of their music. 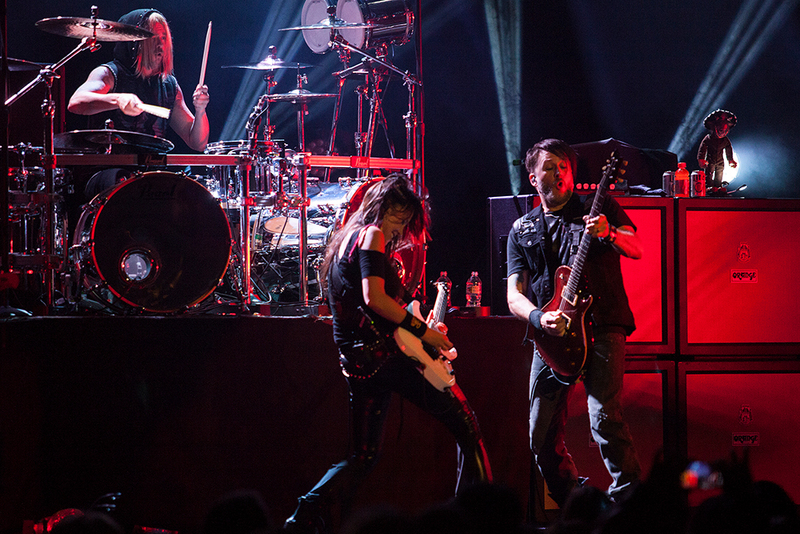 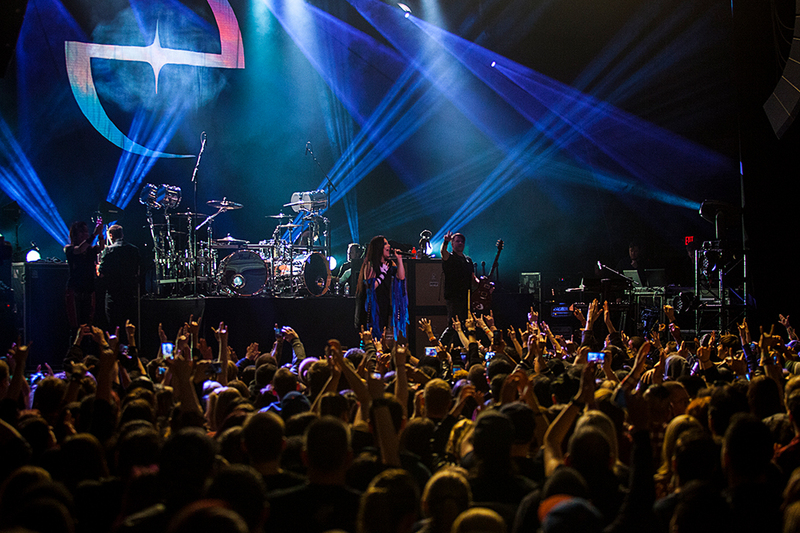 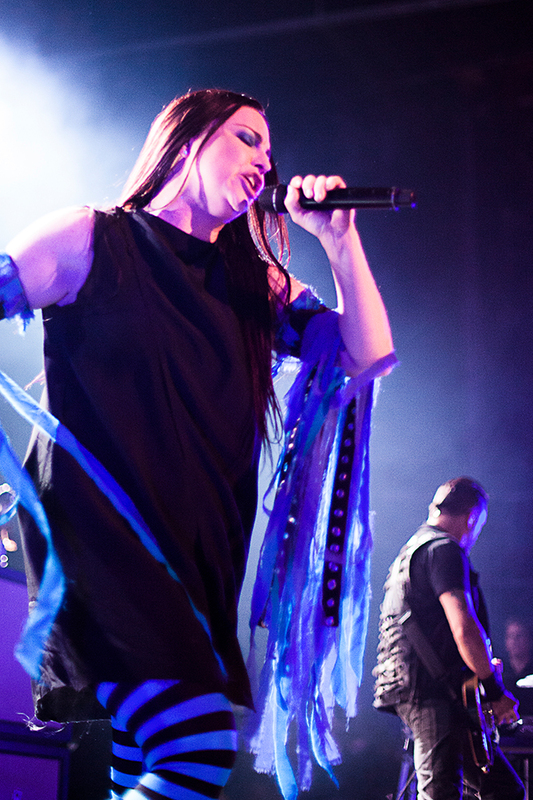 The Evanescence In Concert Tour is out to promote their upcoming vinyl LP release, “The Ultimate Collection”. 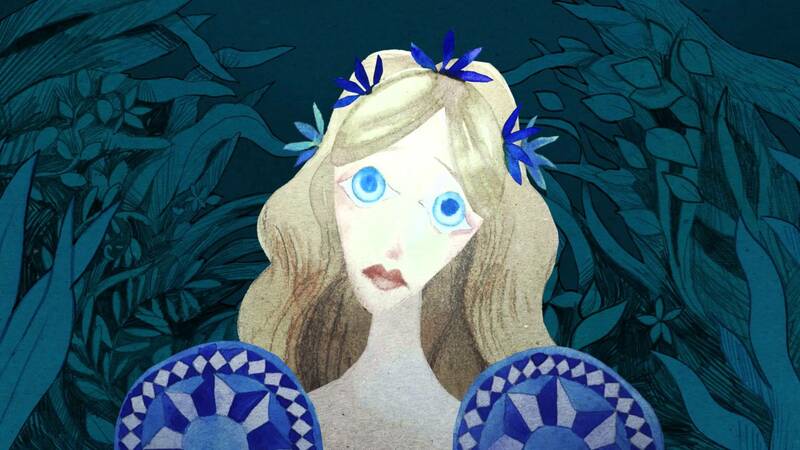 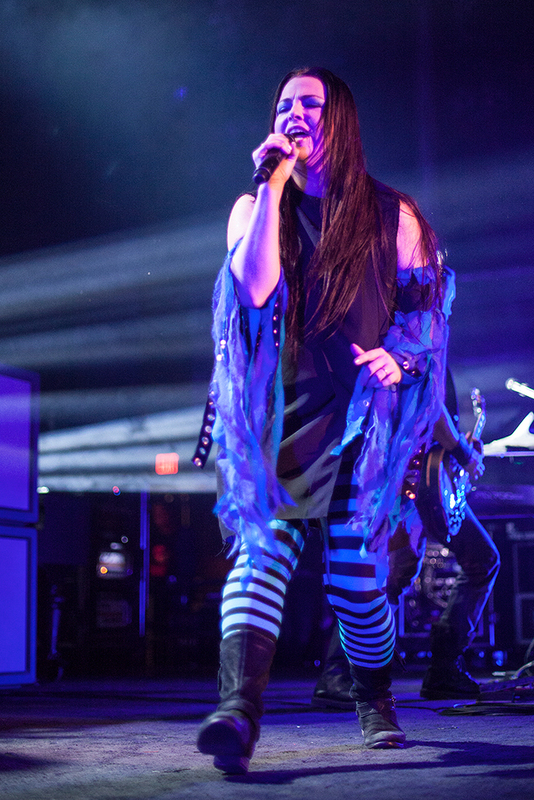 It will include the five albums, Origins (2000), Fallen (2003), The Open Door (2006), Evanescence (2011), and Lost Whispers (Studio Version) for a total of 59 songs. 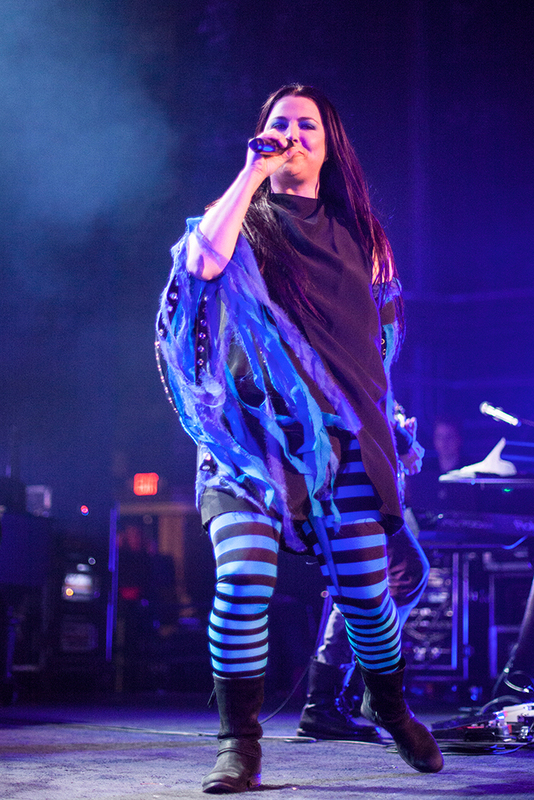 The concert was sold-out, as the fans braved the icy-cold winds waiting for the doors to open. 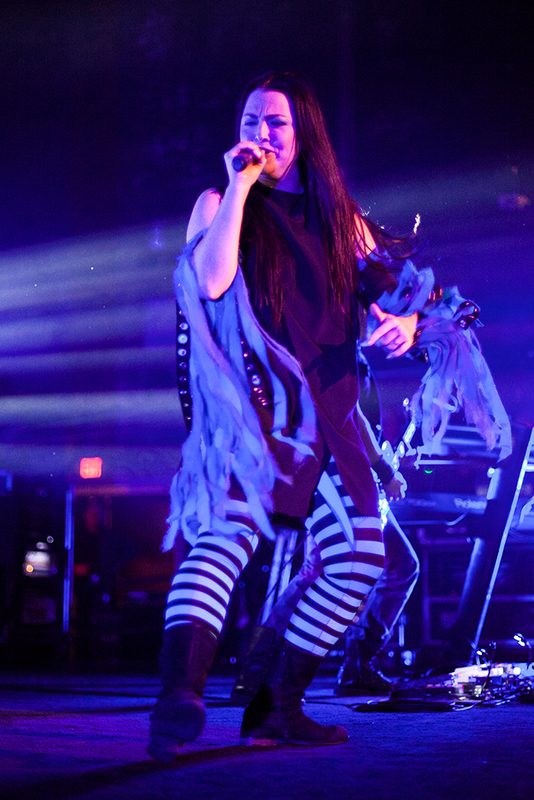 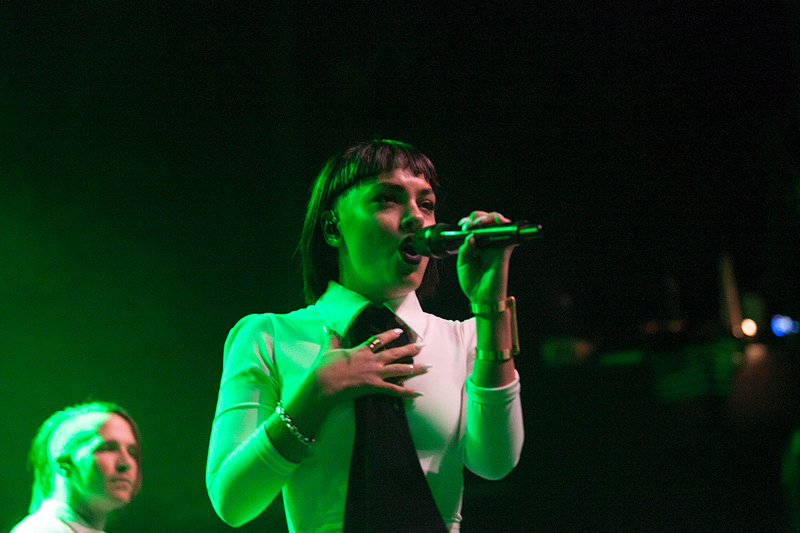 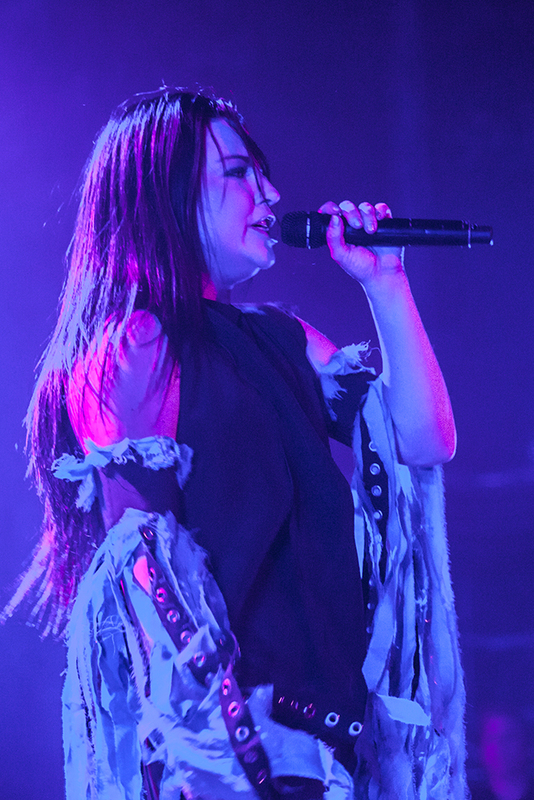 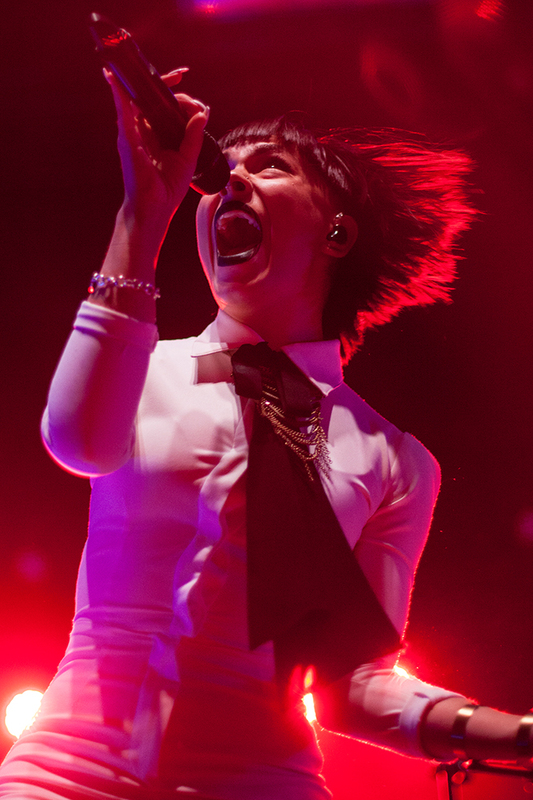 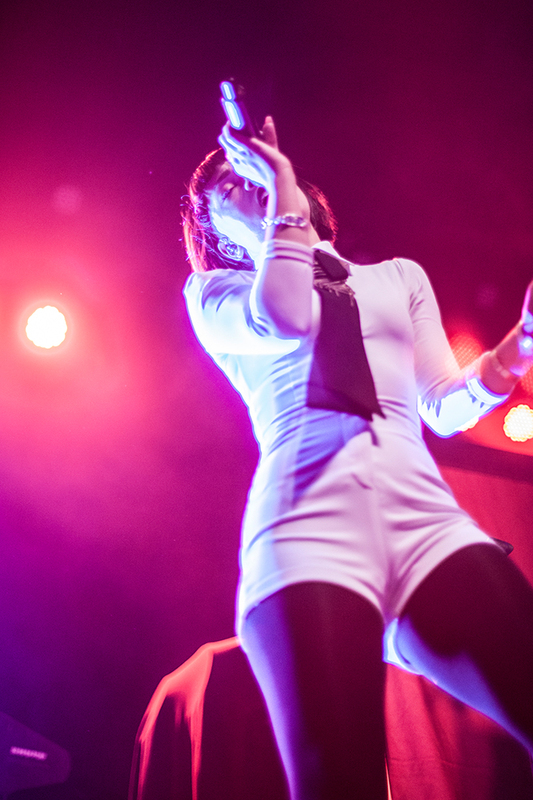 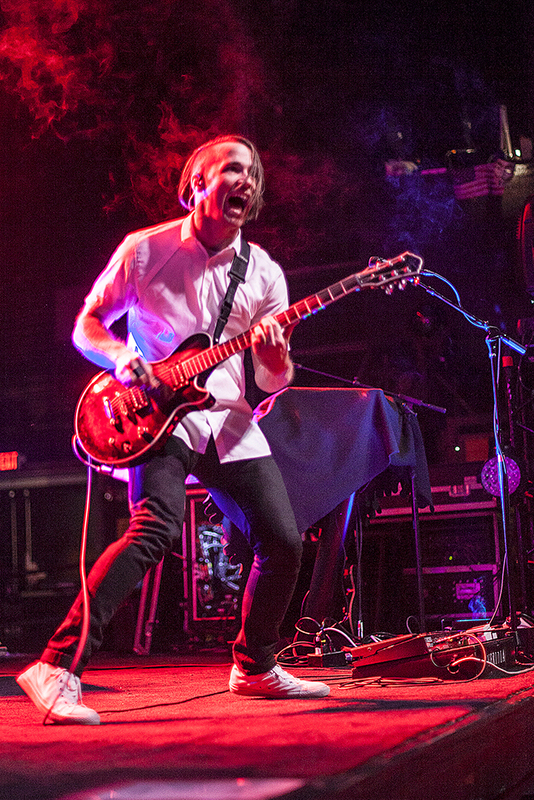 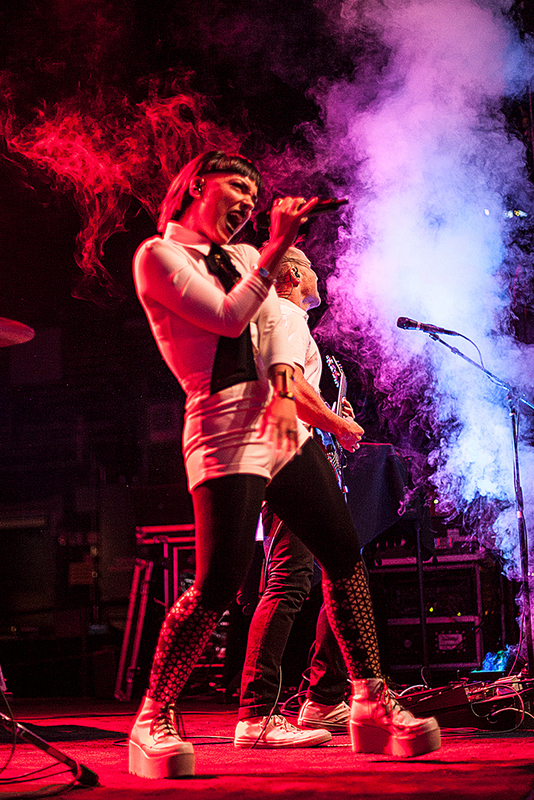 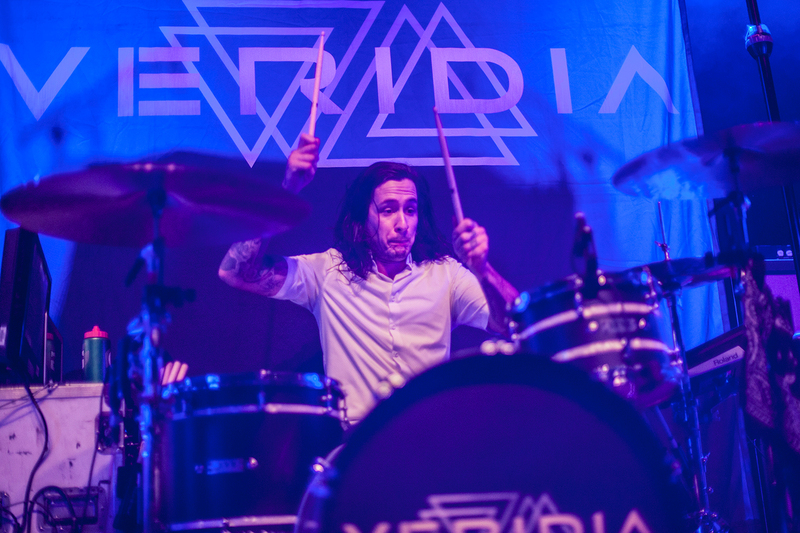 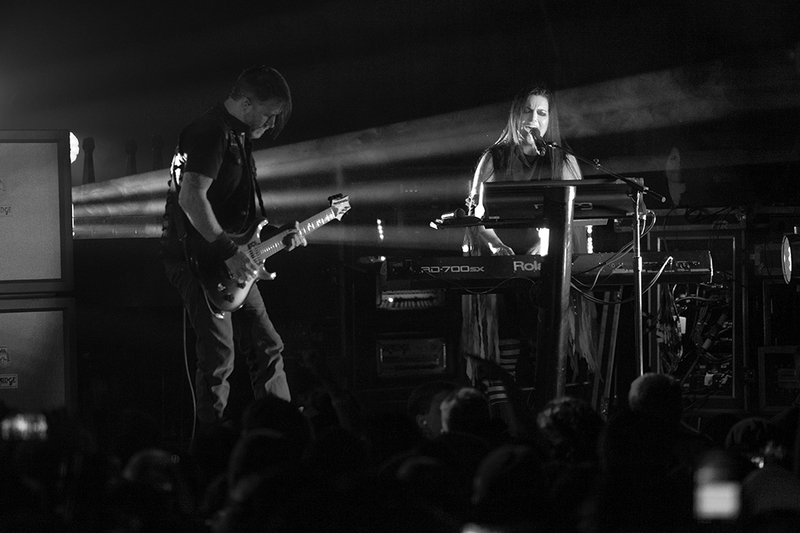 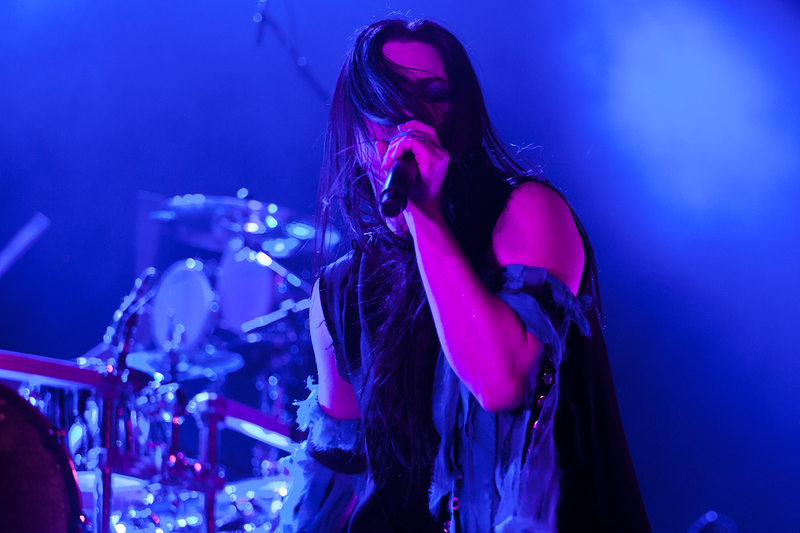 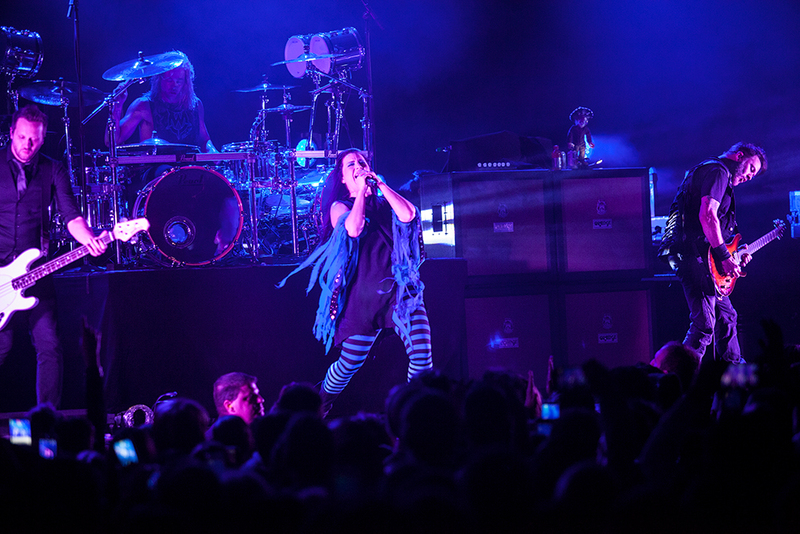 Opening up for Evanescence was the Tennessee-based alternative/electronic band, VERIDIA, who started off the night dazzling and hypnotizing the crowd with their electronic beats and pulsating lights, accompanied by vocalist Deena Jakoub. 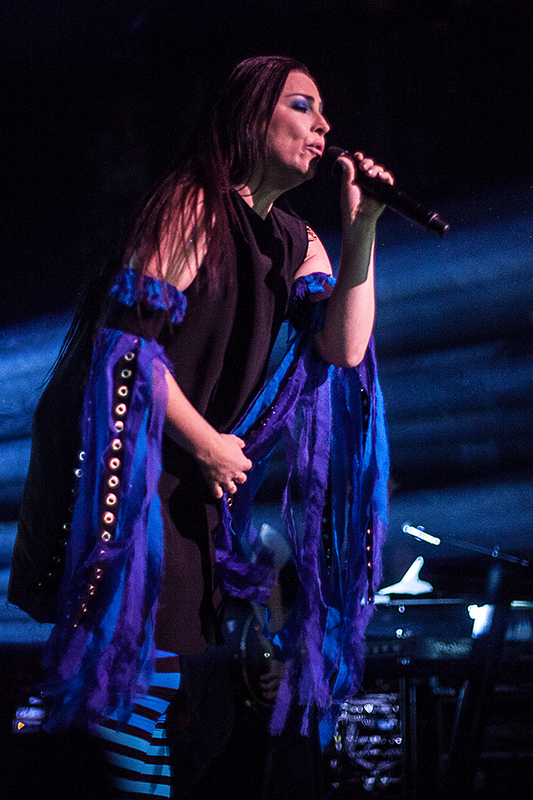 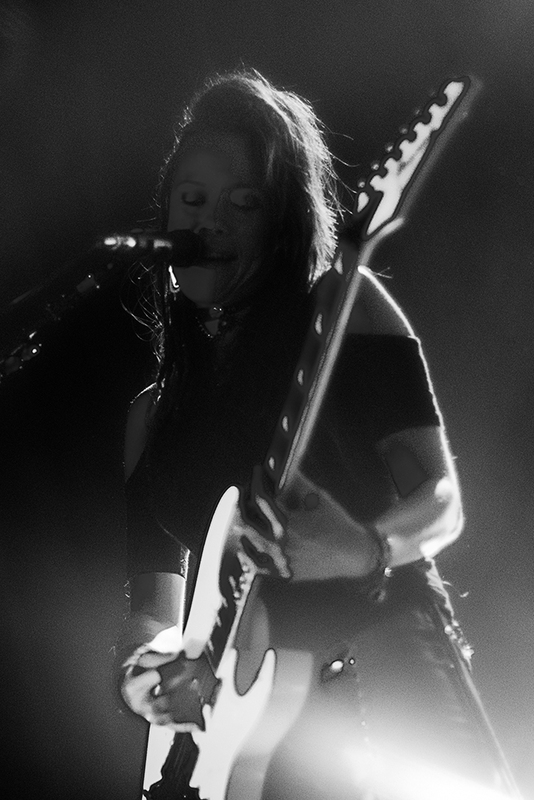 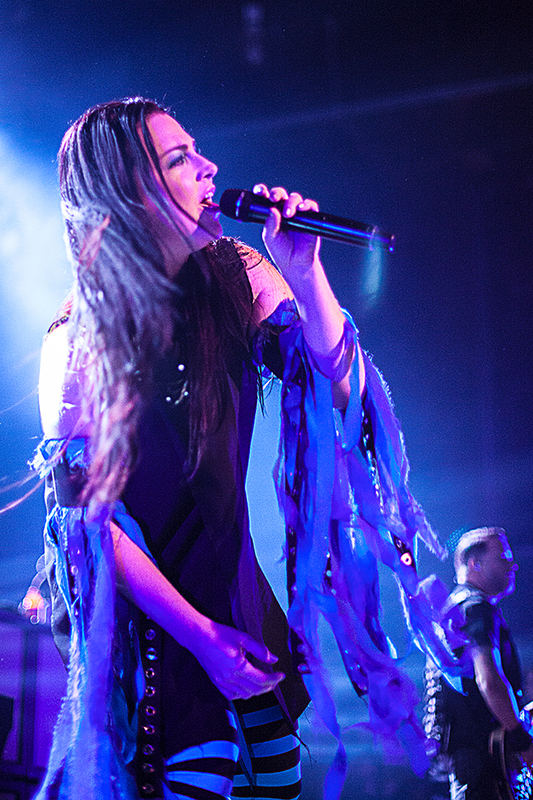 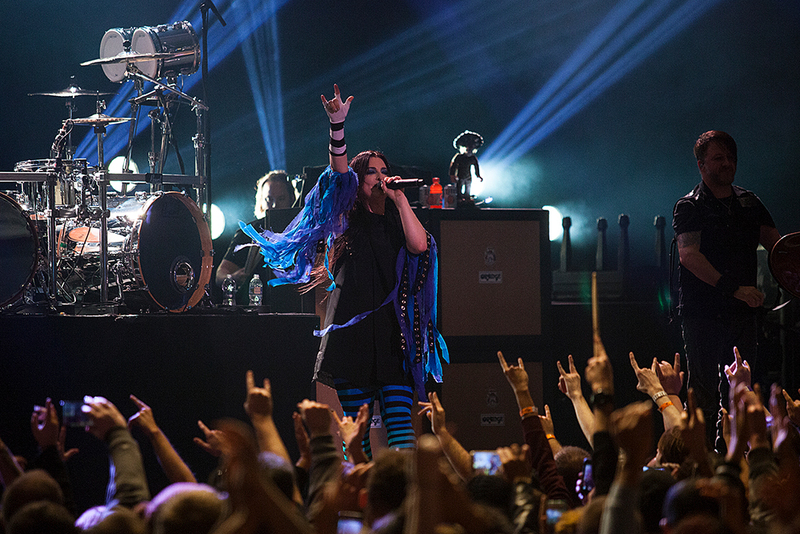 The energy continued as Amy Lee started off Evanescence’s set with the song, “Everybody’s Fool”, which peaked at number 34 on Billboard’s Alternative Song list in 2004, as the audience sang, danced, and cheered along. 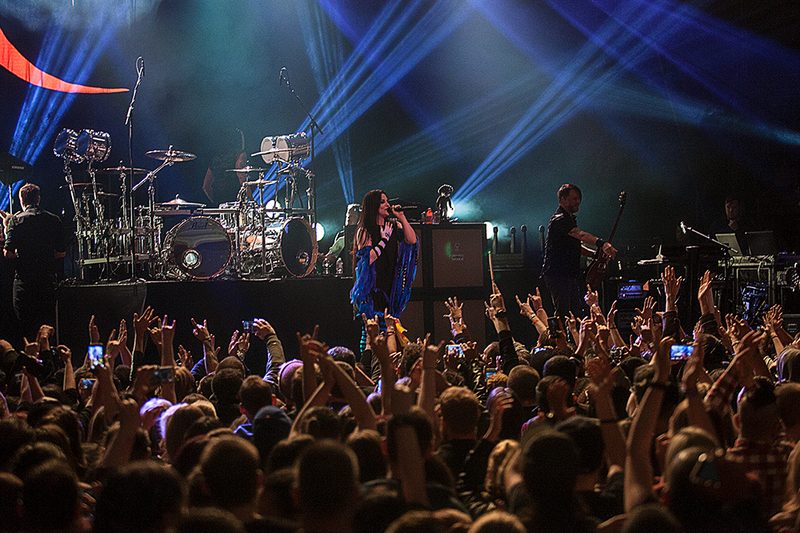 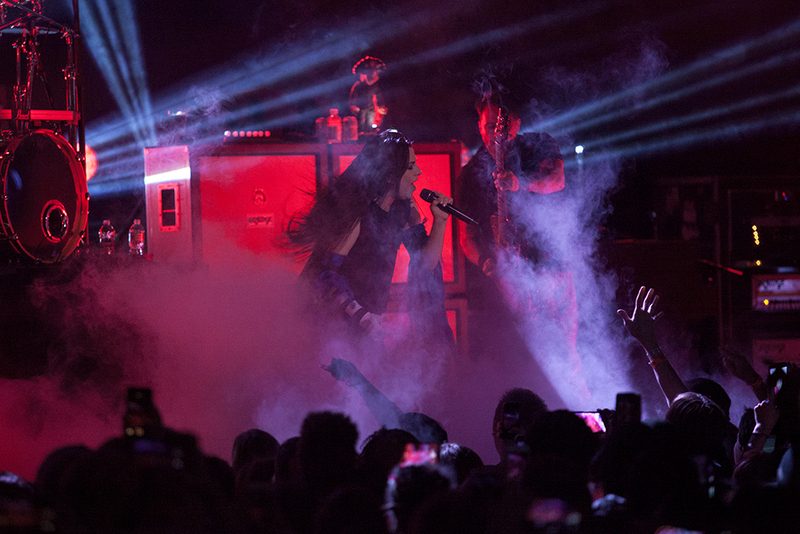 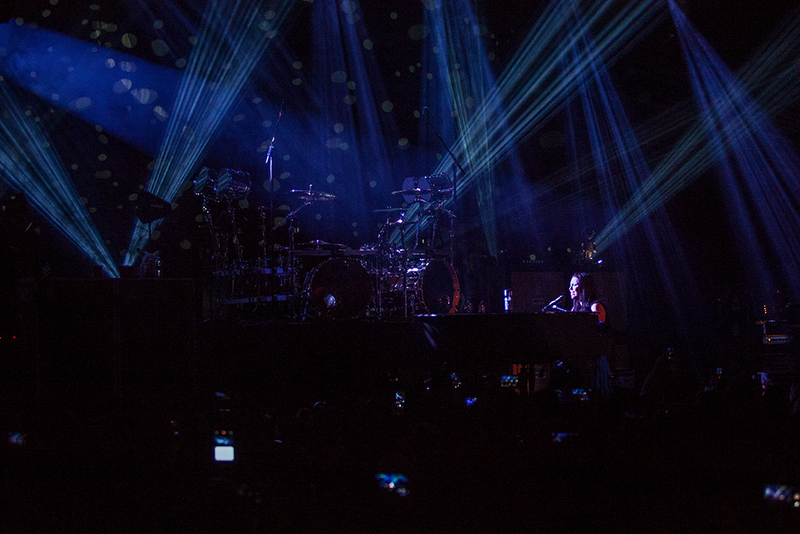 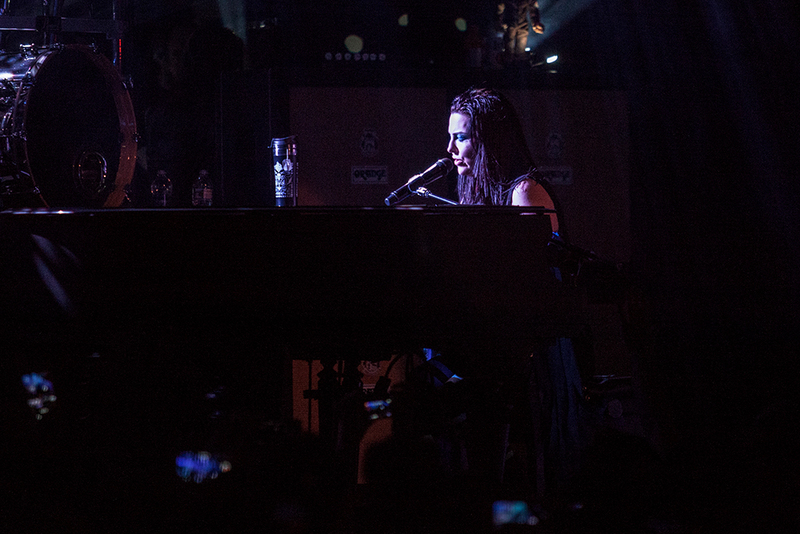 Every song was met with cheers and applause, as Evanescence played non-stop for nearly an hour and a half. 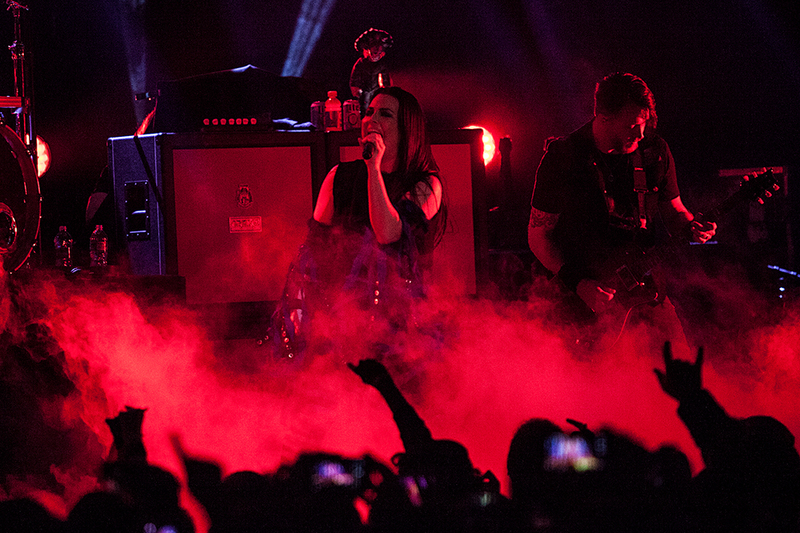 Evanescence will continue their In Concert Tour in South America in 2017. 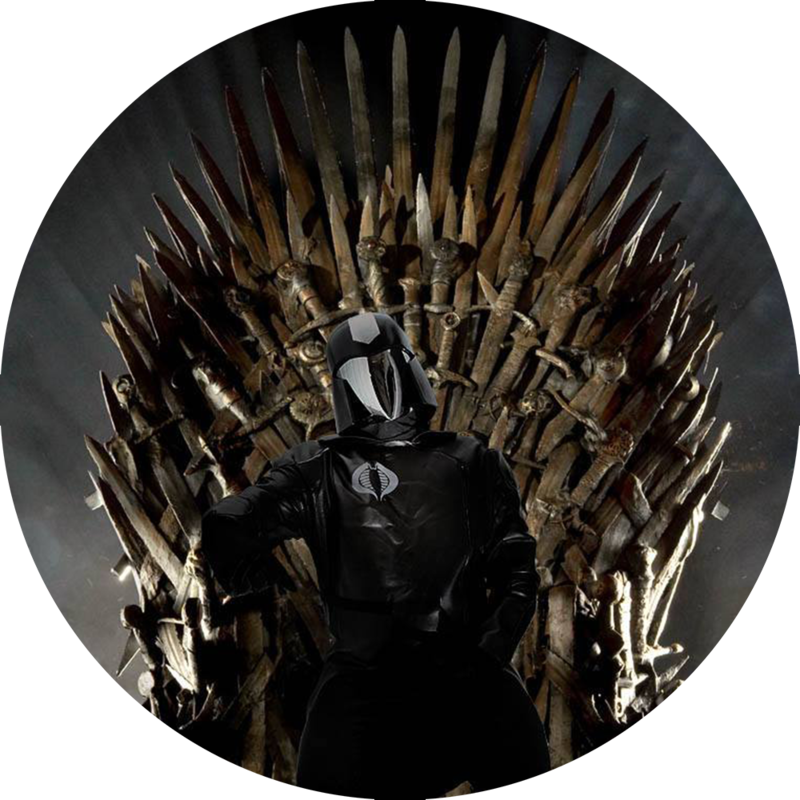 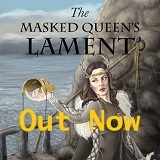 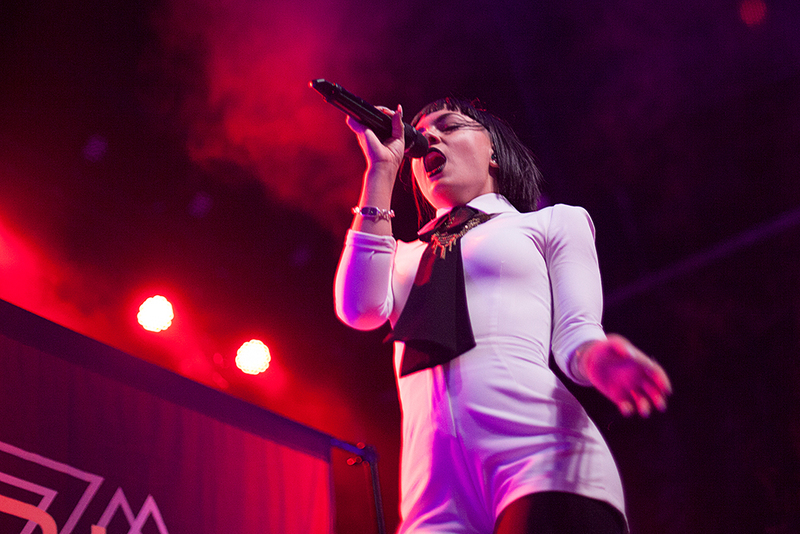 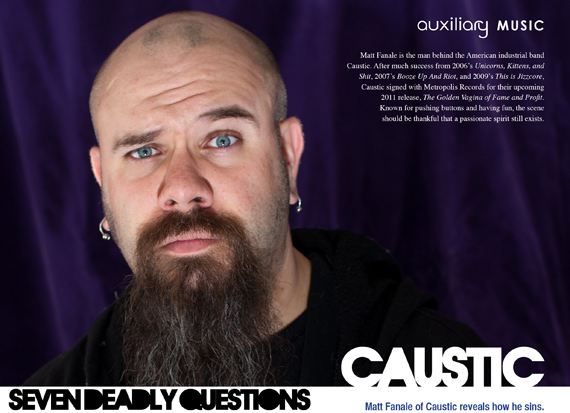 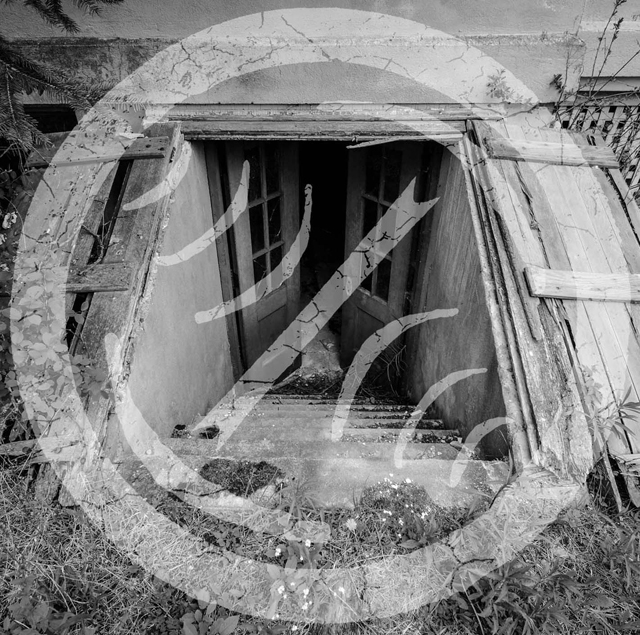 Knightmare6 is a music contributor for Auxiliary and a photographer focusing on events and portraits.